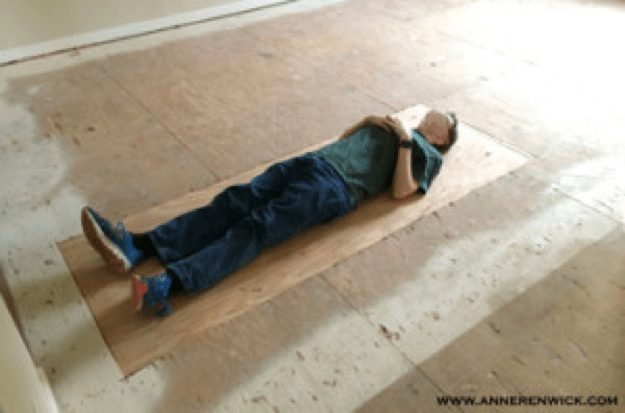 When our contractor ripped up our old flooring, we found plywood underneath. No surprise that. What did strike me as odd, however, was that most of the plywood was of the distressed, walked upon type. Except for this one, odd patch. A patch that has been beneath our sofa for the last four months, beneath the flooring that I *believe* to be original to the building (31 years). Not content to stop there, the two of us determined that something had to be done for the future owners of our home. For when they decide to renovate the flooring. Specifically, we needed a chalk outline. It’s there now, sealed beneath new floorboards, waiting. 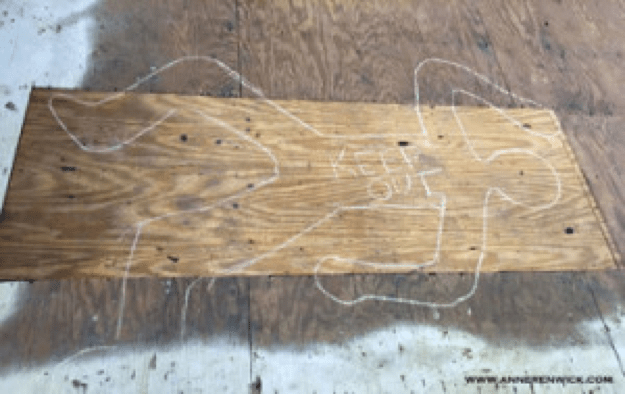 What’s under that newish plywood? I’ve no idea.